We live in an age when the growth of the Internet has made it easier than ever to gain access to information and accumulate knowledge. But information is not the same as meaning, nor is knowledge identical with wisdom. Many people feel engulfed by a tsunami of facts in which they can find no meaning. 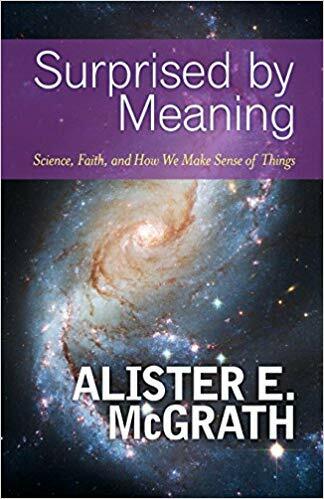 In thirteen short, accessible chapters McGrath, author of the bestselling The Dawkins Delusion, leads the reader through a nontechnical discussion of science and faith. How do we make sense of the world around us? Are belief in science and the Christian faith compatible? Does the structure of the universe point toward the existence of God? McGrath's goal is to help readers see that science is neither anathema to faith, nor does it supersede faith. Both science and faith help with the overriding human desire to make sense of things. Faith is a complex idea. It is not a blind leap into the dark but a joyful discovery of a bigger picture of wondrous things of which we are all a part.